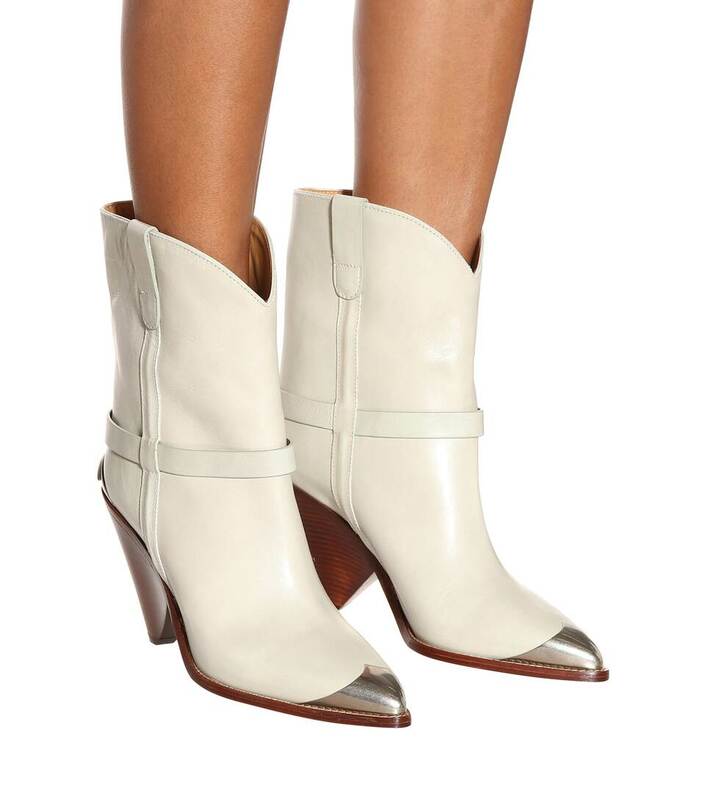 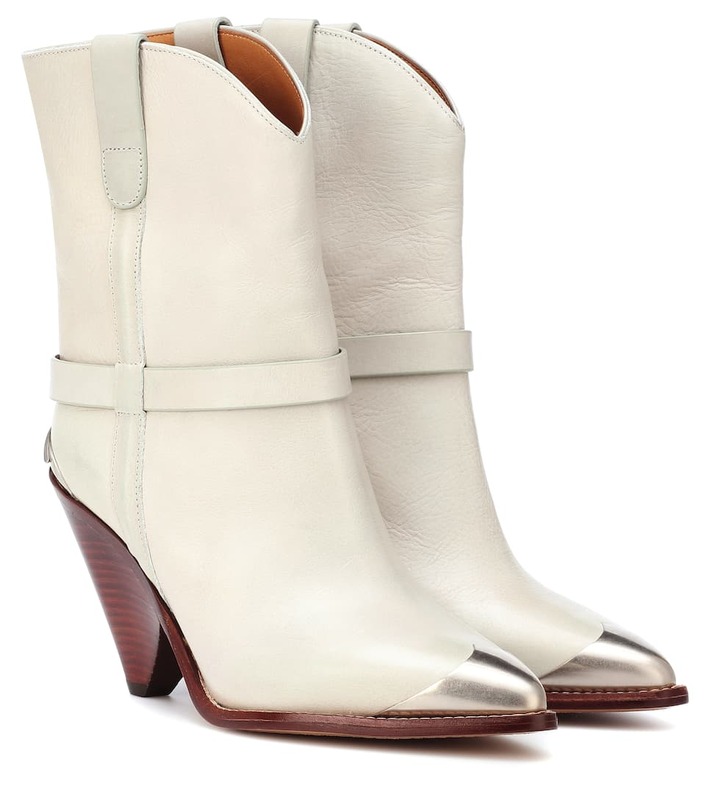 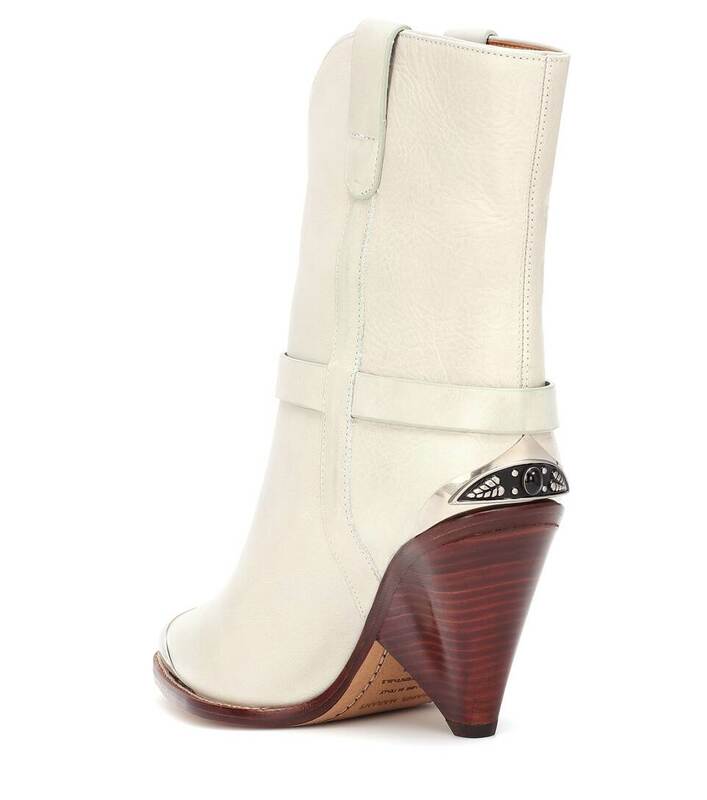 The Fall/Winter '18 collection from Isabel Marant was filled with decidedly western-inspired looks, a staple of which are these Lamsy leather boots in a chalk white hue. 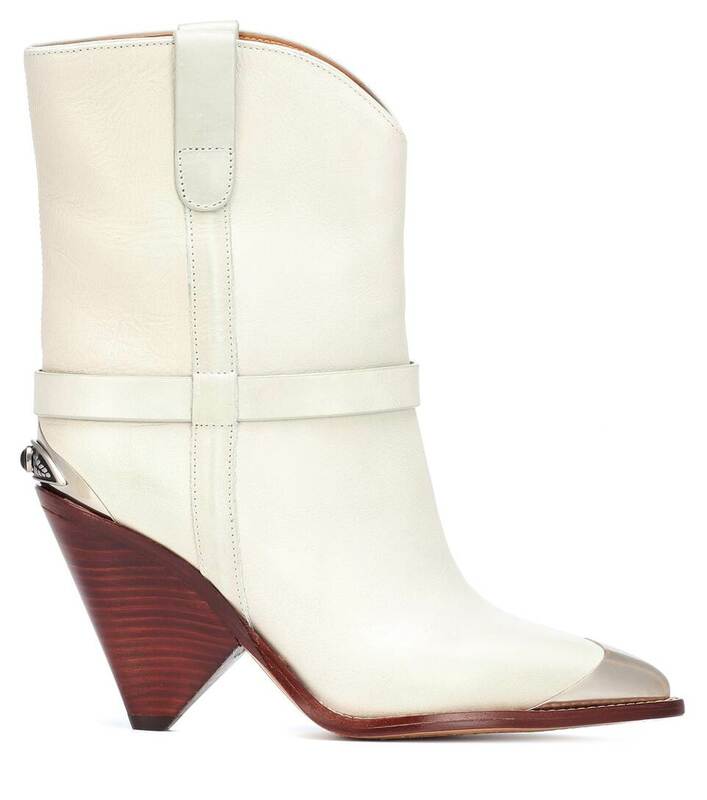 Rendered from smooth calf leather in Italy, this style features a pointed steel toe and heel ornament atop a conical dark brown heel and minimalist details across the body. 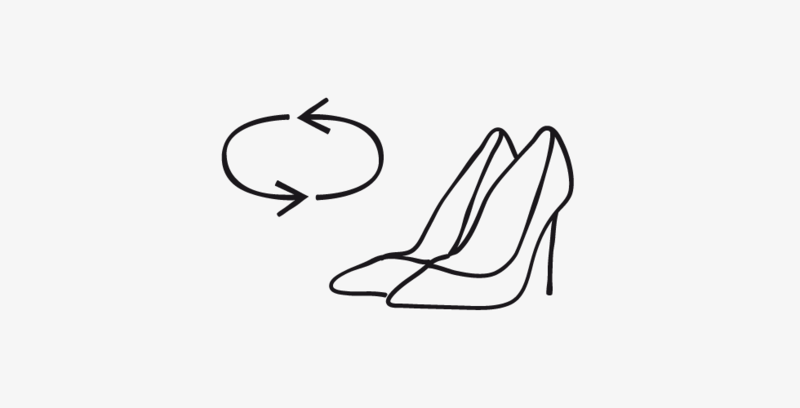 Let the label inspire you to pair yours with leather ready-to-wear separates from the Paris Fashion Week runway.